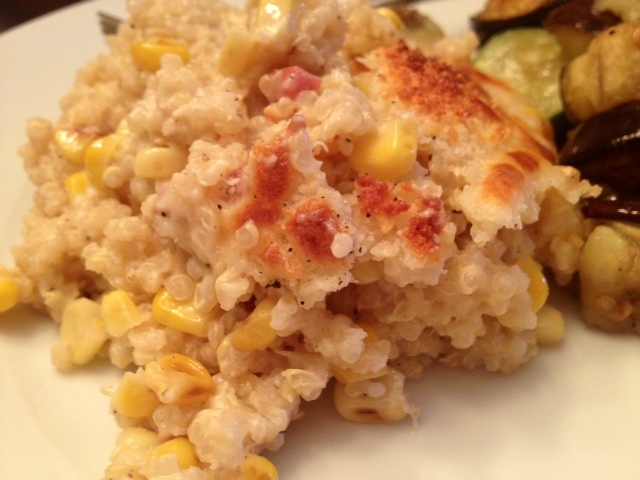 Sweet Corn & Pancetta Quinoa. 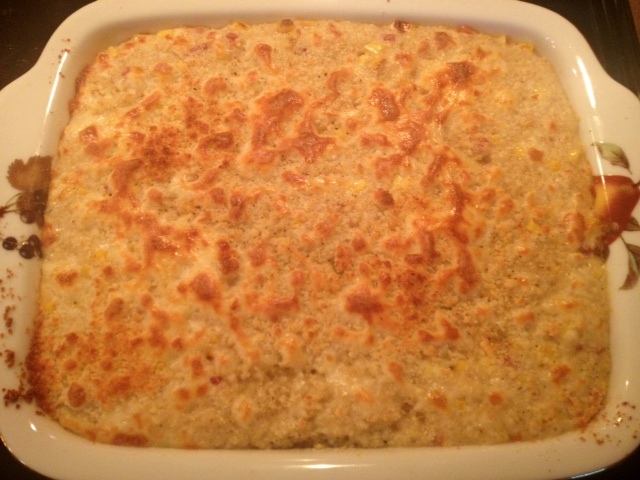 Creamy Baked Quinoa With Sweet Corn & Pancetta. 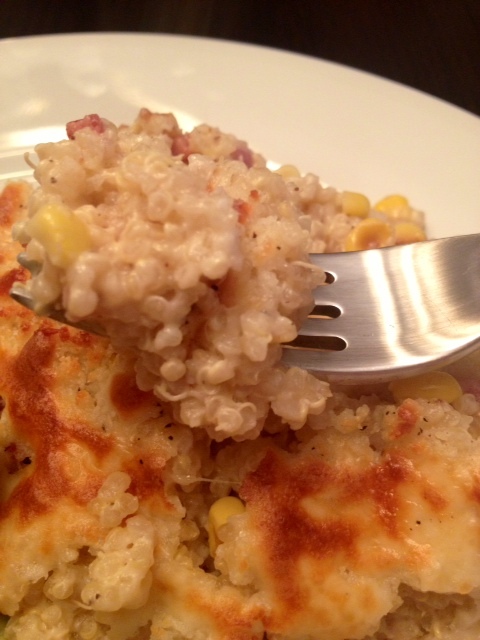 I’ve been experimenting quite a bit lately with quinoa and this is one of my recent concoctions. 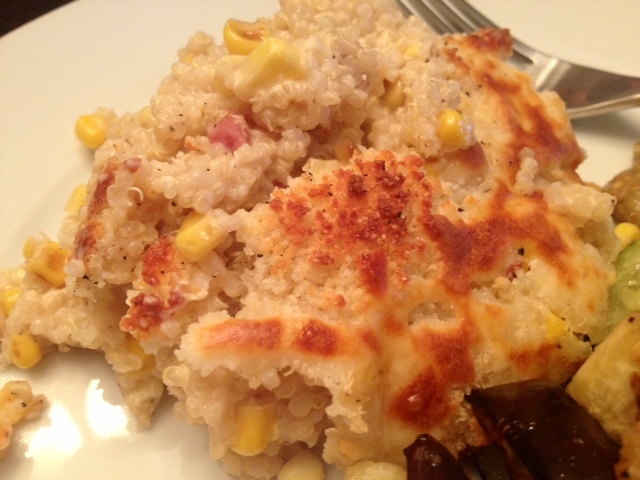 This warm and hearty baked quinoa has a great creamy texture with the unexpected crunch of the sweet corn. The pancetta adds a rich, salty flavor that is balanced out by the sweetness of the corn. Begin by cooking your quinoa as directed on the package. As the quinoa cooks, you can prepare the sauce. In a pot on medium-low heat, add in the milk and sour cream. Keep the heat pretty low – the mixture should not boil, just heat and simmer. 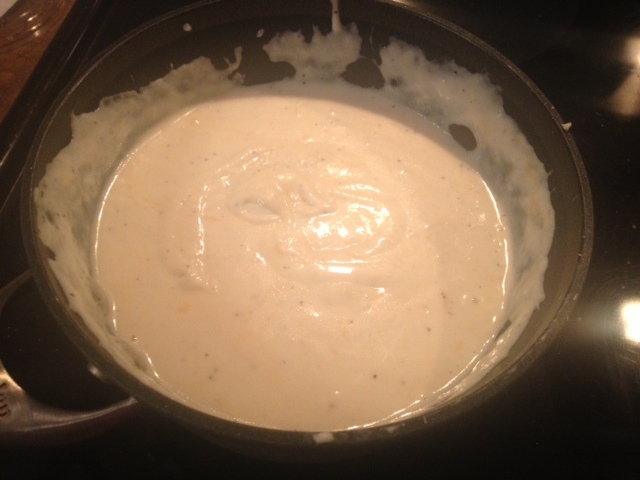 Once that has heated through, stir in the mozzarella and Parmesan cheese and stir well so it melts into the mixture. Season with the garlic powder and a dash of salt and black pepper. Keep the heat on low/simmer. Cook the pancetta on medium-high heat (do not add any oil) and cook for about 5-7 minutes until the pancetta is crispy and red. Once cooked, drain the pancetta on paper towel to remove the excess fat and oil. 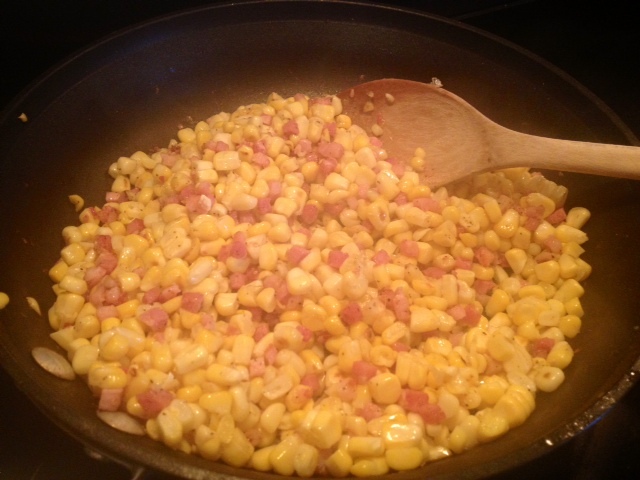 After it’s drained, put the pancetta back into the pan add in the corn. Cook on medium heat for about 8-10 minutes until the corn is lightly browned. 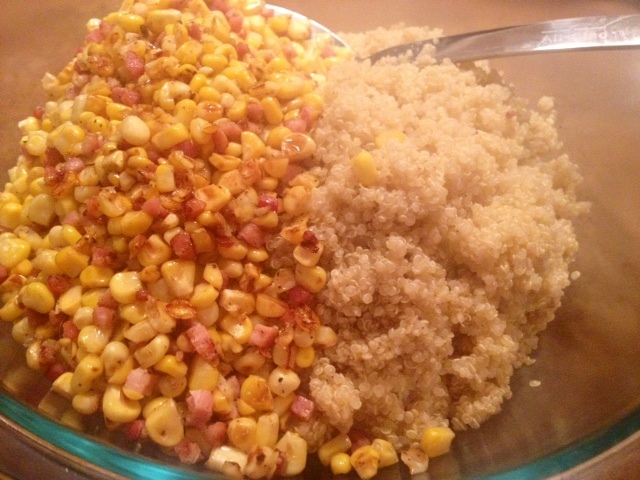 Once the quinoa is cooked, add it into a large mixing bowl along with the corn and pancetta. Stir in the sauce in and mix well to combine. 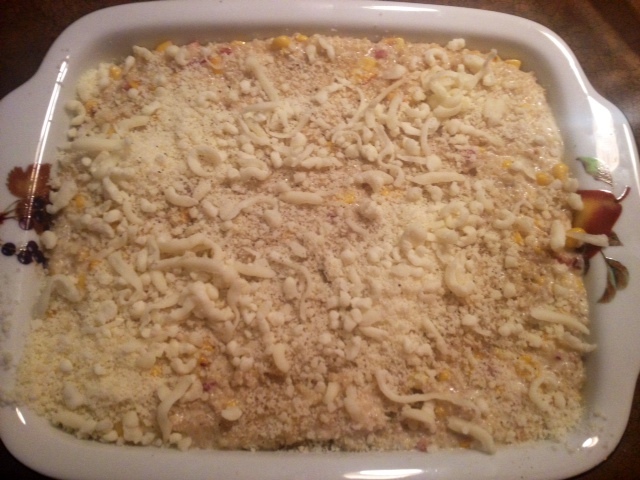 Pour this mixture into a baking dish and top with a pinch of mozzarella and Parmesan cheese and bake in a 375 degree oven for about 20 minutes, or until it’s lightly browned and bubbly. ← Kale With Artichoke & Caper Marinara. Yup, going to give this one a try foshoooo!